Posted on 2017-12-03 22:24:58 GMT+0000 by Neil Godfrey. This entry was posted in Uncategorized and tagged Ancient biographies, Historical Method. Bookmark the permalink. Certainly our perceptions are biased by our interests, hopes, fears, expectations etc. Anyone who writes about anything brings her own preconceptions and biases to the task. Socrates’ execution came in the wake of the devastating Athenian defeat in the Peloponnesian war, and, no doubt, there was much blaming going on. Different writers were trying to use Socrates to support their own narrative. If the synoptic gospels were written in the wake of the devastating Jewish defeat at the hands of Rome, including the destruction of the second temple, it is tempting to see them in terms of currying favor and assigning blame for that disaster. Could it be that “son of man” is a metaphor for the Jewish people, and the synoptic gospels of the Bible are about the death and resurrection of the nation of Israel? Xenophon, in his “Apology,” argued that for Socrates’ sentence of death it is better to die before the onset of senility than to escape death by humbling oneself to an unjust persecution. Similarly, in Plato’s “Phaedo,” Socrates last words before dying were “Crito, we ought to offer a rooster to Asclepius” – implying, as Nietzsche also saw, that the poison was seen by Socrates as a cure for life. 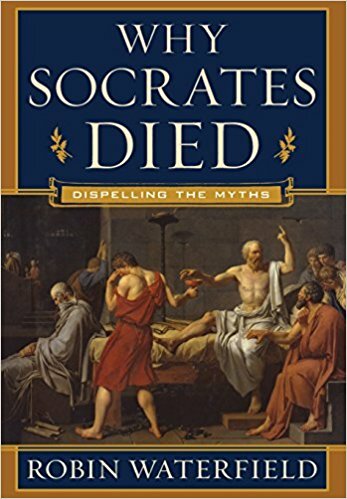 Socrates died because Socrates wanted to die. Socrates, the first paradigm of a righteous martyr in Greek literature, is a really important example for understanding the Gospels, as I hope to write about someday. This may be the case for Socrates but the gospels leave the feeling that they were trying to recreate the myth around Socrates. In general O.T. and N.T. are books which tried to “destroy” critical historiography. It is not a coincidence that O.T. created a parallel universe around the blank spaces of Greek historiography and that N.T. with many contradicting stories tried to show that humans cannot write history. I’m very impressed with the quality of argumentation in Vridar posts these days. Which was always good. But now, after many years of study, seems even better. Your posts these days are often fully professional. Full of documentation and sound reasoning. And capable of refuting any anti mythicist arguments by any PhD scholar in Christian and Biblical studies.